Watermark Retirement Communities, Mather LifeWays and the University of Arizona recently teamed up on a project to improve the quality of life for senior housing residents, with promising early results. The effort was several years in the making, and involved funding from the American Seniors Housing Association (ASHA). 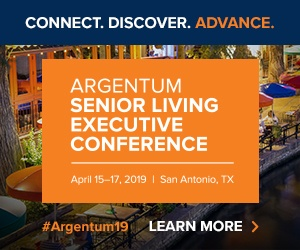 “I was on the executive board of ASHA … and we reached out to several universities to see if there were research projects we could fund,” David Freshwater, chairman of Watermark Retirement Communities, told Senior Housing News. The University of Arizona was one of those schools that ASHA connected with, and it was one that Watermark had worked with in the past. Watermark helped create the proposal for Project THRIVE, which was funded in part by ASHA and took place primarily over the course of 2017. The initiative drew on methodologies that schools have used to reduce bullying, cliques and other social issues, while forging a stronger shared culture and enhancing students’ experiences. By adapting these methodologies for senior housing communities, the hope was that similar outcomes could be achieved. The concept dovetails with other work that ASHA has been involved with, along with ProMatura Group, on how residents can feel more “at home” in senior housing communities, ASHA President David Schless told SHN. The two intervention sites were The Fountains at La Cholla and Splendido at Rancho Vistoso. The Fountains at La Cholla (pictured above) offers independent living, assisted living and memory care, and is operated by Watermark. Based in Tucson, Watermark operates 52 senior living communities around the country, making it one of 20 largest U.S. providers. Splendido at Rancho Vistoso is a life plan community operated by Mather LifeWays, an Evanston, Illinois-based nonprofit senior housing provider. At those active sites, the researchers began by surveying residents and conducting focus groups with residents, staff and other stakeholders, including corporate executives and owners such as Freshwater. The surveys revealed that about 90% of residents were happy and socially engaged, with fewer than 10% saying they had seen or experienced aggression from other residents. However, further interviews and assessments, and the focus groups, revealed that social challenges were cropping up with some frequency, including issues with cliques and “micro-aggressions.” Micro-aggressions—which can be intentional or unintentional—are comments, snubs or similar, seemingly minor words or actions that lead to people feeling marginalized, unsafe or uneasy. Having residents and staff together in the focus groups, and indeed throughout the whole process, was a key to its success, emphasized Joan Mayer, director of resident services at Splendido. Through this information-gathering stage, the researchers identified three primary sources of tension. These were language and communication issues, such as verbiage that was ageist or insensitive; socialization-related issues, leading to some residents being isolated or excluded; and sensory-related challenges, such as those stemming from loss of hearing or vision. In addition, the dining room and activity rooms—such as for playing cards or doing art projects—were sites where these sorts of issues often cropped up. In the next phase of the project, a handful of new practices were developed at Splendido and The Fountains at La Cholla to address some of the pain points revealed by the focus groups. Several of these initiatives involved dining. The changes were not complicated or expensive, but the challenge came in being fully responsive to the input received from residents and staff, Freshwater noted. For example, it was not difficult to provide more large-print menus, but simply having them available was not enough to solve the problem of residents feeling put on the spot if they had to ask for one, drawing attention to their vision-related needs. “It’s us saying, I know Mrs. Smith struggles a little bit, and discreetly handing her a large-print menu without saying anything,” Freshwater said. Similarly, residents did not like it when staff members would ask to “take” their walker when they entered the dining room. Phrases like “May I valet your walker?” came across as more respectful. Splendido experimented with a dining-related initiative that sought to reduce the issue of cliques, which could involve certain groups of people always dining together and excluding others. This could make mealtimes daunting for newcomers to the community, Mayer said. As these examples show, careful use of language was a core component of these efforts. Other language-related training involved teaching staff techniques for communicating with people how have cognitive impairment, and workshops for both staff and residents related to grief and loss. Phrases like “I’m sorry for your loss” tend to come across as hollow, and the workshops provided new language to consider and emphasized the importance of being “present” with someone who is grieving. Building a more empathetic culture was another overarching goal, and to that end, the researchers led some interactive exercises, said Lisa O’Neill, associate director of research and education for the Center on Aging. Though the project has officially concluded, Watermark and Mather LifeWays consider Project THRIVE part of an ongoing process of culture enhancement, and they are still acting on the lessons learned. For instance, Watermark is opening a new community in Tucson in the next year, and already is getting deposit-holders together for a variety of activities. To promote friendships and expand prospective residents’ social circles, these activities go beyond “wine-and-cheese tastings” to field trips that “get people out of their comfort zone,” Freshwater said. In addition, Watermark has incorporated best practices from Project THRIVE into its learning center. This is a robust platform used for training and continuing education across Watermark’s whole portfolio. The THRIVE methodology, going from focus groups to interventions, could be worth repeating every five to seven years at Splendido, in Mayer’s estimation. As for the researchers, they are encouraged by the pilots at Splendido and The Fountains at La Cholla, and believe that the THRIVE methodology could be successfully adapted by other senior living providers. To that end, they are presenting on Project THRIVE at industry events such as LeadingAge Arizona. More long-term, they are thinking of developing a certification for executive directors, who play the key leadership role in shaping the culture of their buildings. While the project did reveal some issues that senior housing communities are facing, Freshwater is quick to point out that they are the sorts of challenges that would crop up in any communal environment. “Put any age group together in a setting where they’re dining and exercising and learning together, you’re going to have conflicts, because people are people,” he said. However, “people are people” doesn’t mean that bullying or cliques are inevitable, and that behaviors and norms can’t be shaped—and that was among the powerful lessons of Project THRIVE.